The use of single-use or disposable plastics is a much discussed topic in town. 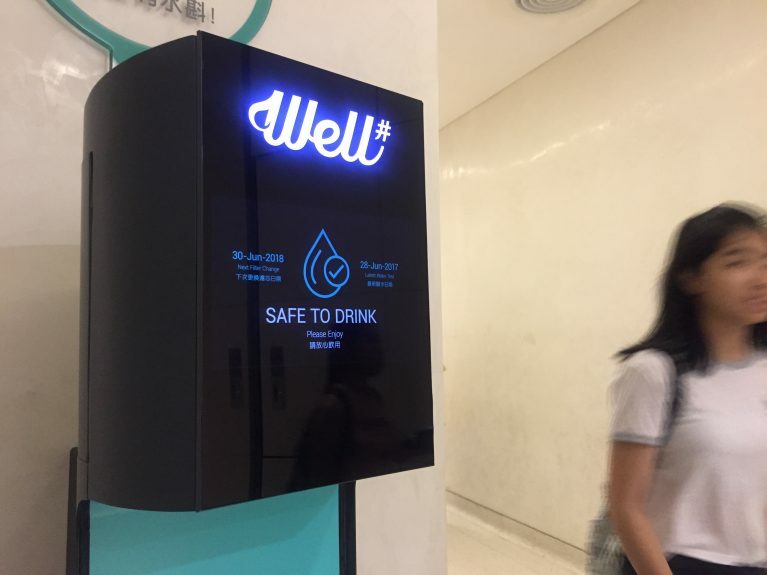 To advocate using fewer disposable bottles, Hysan Place, a member of the Alliance, collaborated with Urban Spring to install a smart water station, Well井, providing high quality drinking water in hyper-busy Causeway Bay in July 2017. Hysan Place encourages members of the public to bring their own bottles and reduce the use of disposable bottles. Designed in Hong Kong, the innovative smart water station Well井 can be remotely monitored for usage and performance data. An interactive LCD screen can display the number of single-use plastic bottles saved in real time which engages people to further commit to the environmental cause. From mid-2017 till now, the Well井 at Hysan Place has kept more than 160,000 plastic bottles out of landfills! Riding on the success, Lee Garden Two has also installed a Well井 in May of this year. The network of Well井 in shopping malls and other commercial premises is expanding with a goal to bring an innovative and more sustainable shopping experience to the public. Besides permanent water stations, Urban Spring also offers event solutions, and it provided filtered drinking water for Lee Gardens “EGGssentially Art!” – Egglette Festival in April, as well as “Hydrating Causeway Bay” in August 2018. Calculation based on a 500ml plastic bottle, a common size used in Hong Kong.